Looking for a great way to substitute whole grains in your everyday recipes? Well, forget the wheat! Try my newest blend of "Spice"-- That's right! Spelt and Brown Rice! Simply grind equal parts Spelt and Brown Rice in your Wondermill Electric Mill, and you'll have your own fresh blend of light and airy "Spice Blend", ready to use in so many recipes. From cereals and muffins to breads and waffles, this is soon to become a kitchen staple! 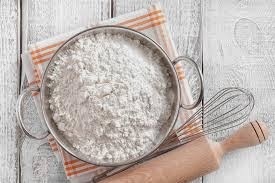 Remember... keep your flour refrigerated until ready to use. Ready to try my latest and greatest recipe using "Spice"? Preheat the oven to 400 degrees. Lightly grease 10 muffin cups. Mix the dry ingredients in a large bowl. Add the remaining ingredients, and beat gently, until well incorporated. The batter should be frothy and light. At this point, you can sprinkle the tops gently with cinnamon sugar. Fill the muffin cups quite full, and bake for 20-25 minutes. 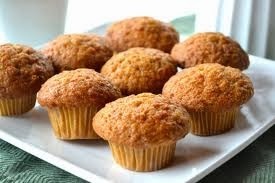 Allow to cool for five minutes, then twist the muffins out and set them on a cooling rack.